Apple's OS X isn't exactly a gamer's paradise. But the same can't be said about iOS--especially when it comes to the iPad. In some ways the iPad is the perfect gaming handheld: It has great battery life, and games are cheap. But before you run out to give Apple all of your money, there are a few things you should know before using the iPad as a gaming device. 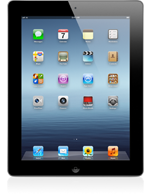 There are a few different iPad models, each with their own set of strengths and weaknesses. Do you get a Wi-Fi only version, or do you spring for a model with LTE? Will 16GB be enough, or do you plan on downloading hundreds of games? Should you buy the latest iPad, or pick up an older model on the cheap? These are all questions you'll need to ask yourself before you make your way to the Apple Store. A 16GB Wi-Fi only model of the latest generation iPad will set you back about $499 (before taxes), with the 32GB and 64GB versions going for $599 and $699, respectively. The new iPad has a high definition Retina display, and apps optimized for a Retina display will require more storage than their standard definition counterparts did. Consider your budget and go for the iPad that has the largest amount of storage that is within your price-range. If you can't rationalize spending over $500 on something you're just primarily using for mobile gaming, then you might want to consider picking up an older generation model instead. Apple is currently selling the iPad 2 for $100 less than the new iPad. Other online retailers might still have some extra stock of the first generation iPad left that you can pick up on the cheap. What you lose in specs and extra features, you make up for by getting a tablet while still having enough money left over for rent, and a few apps. Be warned: Some games won't run on the first generation iPad, and those performance limitations will only grow. The new iPad can connect to 4G LTE networks, meaning you'll be able to download games and play online while away from a Wi-Fi connection. A new iPad with a cellular connection will set you back an extra $130, and you'll have to choose whether you want to use a Verizon or AT&T. Both networks are fast, and plans are pay-as-you go so you can turn on and off the service whenever you need it. If you plan on play a lot of multiplayer games far from a Wi-Fi connection, you'll want to get a plan with at least 2GB of data. Verizon offers 2GB for $30 while AT&T will give you 3GB for the same price. But if you are never far from a Wi-Fi connection, then a Wi-Fi only model should still fill your needs. 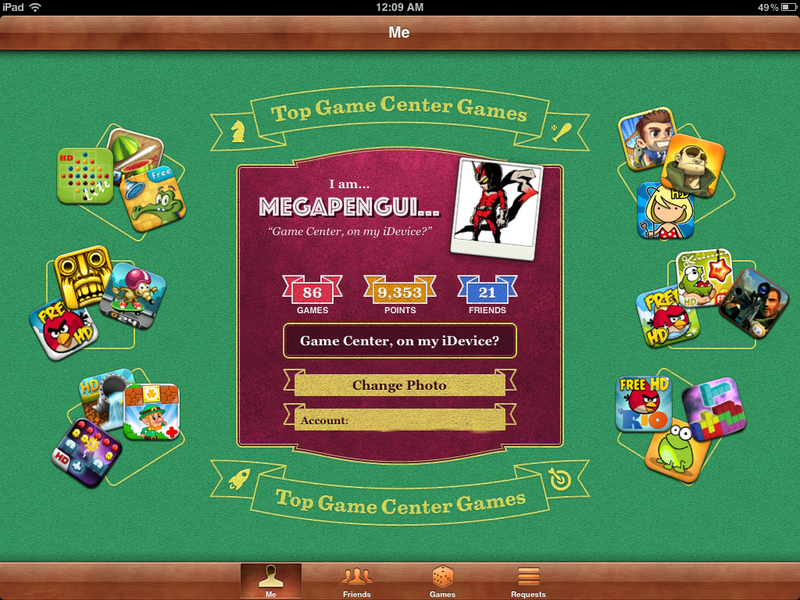 In iOS 4, Apple added Game Center to their iDevices. Game Center keeps track of games you played, and compares your progress to your friends'. Game Center is also lists achievements you've earned while playing games. Achievements work in the same way that they do on the Xbox 360: After completing a task in game, you'll get a small notification telling you which achievement you've unlocked. Each achievement is worth a certain amount of points, but not all games will have achievements. You can tell which games in the App Store are compatible with Game Center, thanks to an icon that appears under the game's price. There are over half a million apps in the App Store--a good chunk of which are games. Every game genre under the sun, from casual games to first-person shooters, are available to download the moment you connect online. Some games will cost you between $0.99-$20.00, but a handful of games are free. Here is a breakdown of games you'll want to check out for your new iPad. 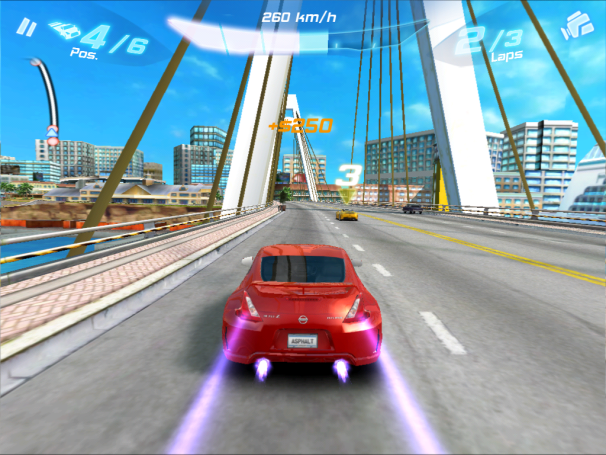 Asphalt 6: Adrenaline plays a lot like Need For Speed. If you're looking for an arcade-style racing game, look no further than the Asphalt series by Gameloft. Similar to Need For Speed, you'll participate in a variety of race modes, picking up power-ups to give you an edge over the competition. The more races and crazy stunts you pull off, the more money you earn that can be put towards new cars. Feeling confident? You can challenge your friends in local multiplayer or take on the world in online races. 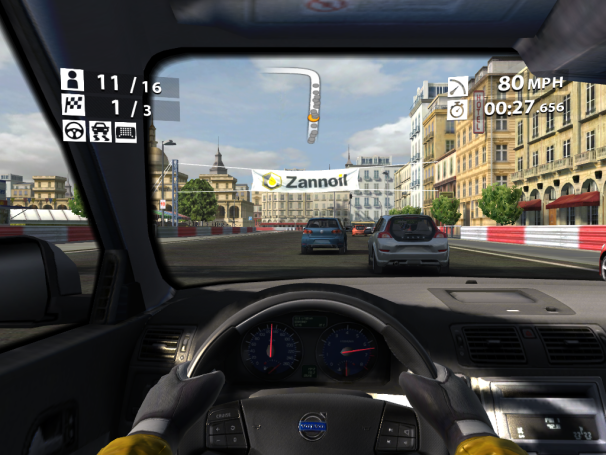 Real Racing is great for car enthusiasts. For the car enthusiasts that want a more serious racing experience, Real Racing by Firemint should be your first stop in the App Store. With 30 real world cars, stunning visuals, and a variety of tracks, Real Racing is the closest you'll get to Forza on the iPad. Modern Combat 2 will have you schlepping around taking out bad guys. While not as cinematic as Call of Duty or Battlefield, Gameloft's Modern Combat series does a decent job at keeping up with the big boys. You'll shoot your way through a variety of set pieces in the campaign mode, then take your skills online to show off how good you are at getting headshots. There is even DLC in the form of extra multiplayer map packs. 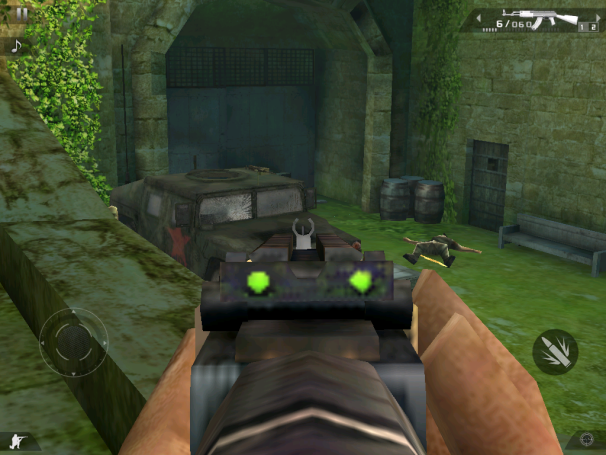 Shadow Gun uses the same cover mechanics you'd find in Gears of War. 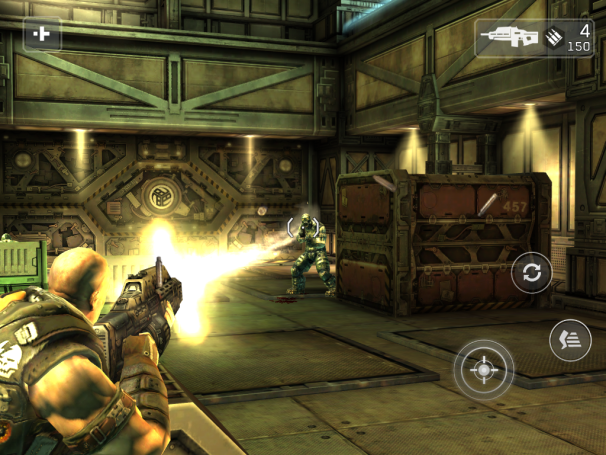 One of the best third-person shooters on the iPad, Mad Finger's Shadow Gun has all the makings of an epic. You'll explore huge levels, fight your way past waves after waves of bad guys, and take down massive bosses. The latest update added an expansion pack, giving you another adventure once you finish the main storyline. No multiplayer in the iPad version quite yet, but chances are we'll see it in a future update. Final Fantasy 3 still holds its own after all these years. The most expensive game on this list, Square-Enix's Final Fantasy 3 should need no introduction. Redone with 3D visuals, Final Fantasy 3's gameplay still holds up in an era where games like Skyrim and Mass Effect 3 take center stage. But it's still the classic, Japense role-palying game we've grown to love. 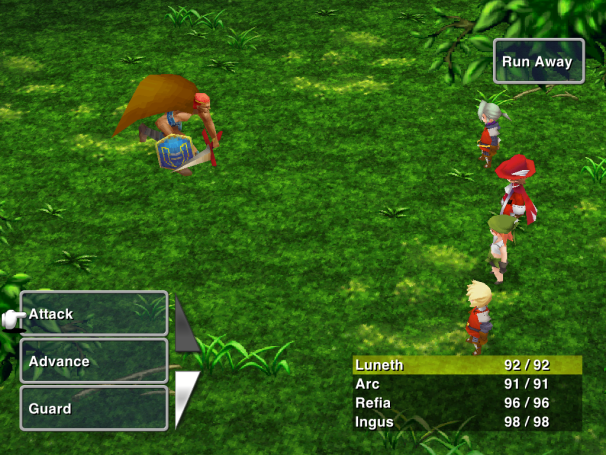 Final Fantasy 3 may cost a lot more than most apps, but it is definitely worth the price of admission. Civilization Revolution on the iPad lets you conquer the world. Another game series that most gamers should be familiar with is Sid Meier's Civilization. 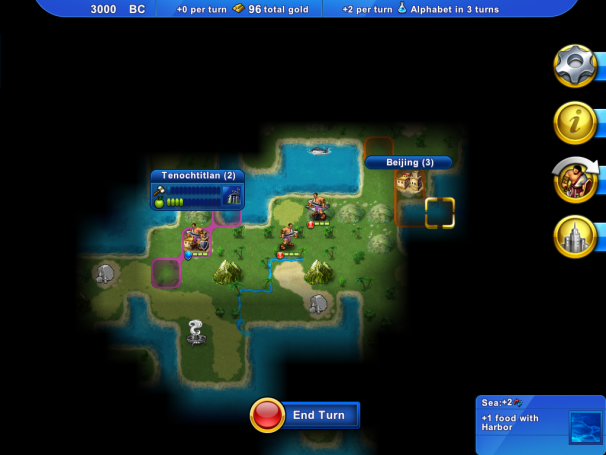 The turn based strategy game works extremely well on the iPad, allowing you to quickly get a game going or resume where you left off. You still have a wide variety of leaders you can choose to lead your civilization, everyone from Abraham Lincoln to Cleopatra, and you'll sink in a lot of hours leading your people to victory. Besides, what other game lets you have the Aztecs develop battleships? 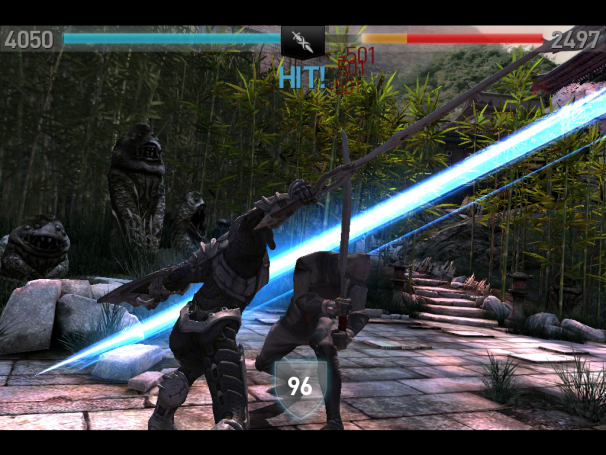 The sequel to Chair's best-selling hit, Infinity Blade 2 is even better than the original. Chair has done it again with Infinity Blade 2. This hack and slash action adventure RPG will have you fighting off enemies of all shapes and sizes in your quest to rid yourself of the infamous Infinity Blade. If you played the first one, you know you're in for countless of hours of gameplay coupled with breathtaking graphics. Once you've been through the campaign once or twice, try out the Arena for even more challenges. Swords and Sworcery is a feast for the eyes and ears. 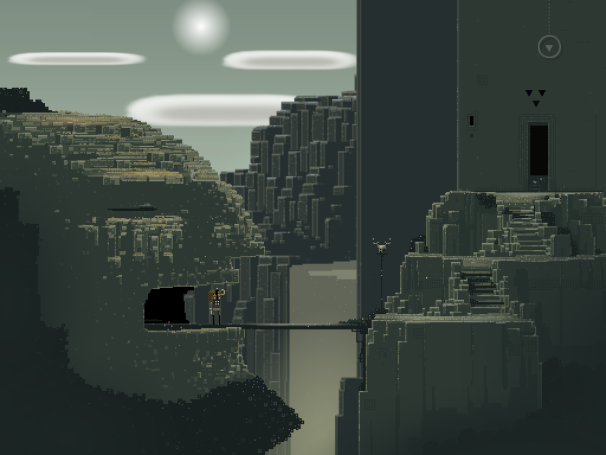 It's difficult to describe Capybara Games' Swords and Sworcery. One part adventure game, one part amazing soundtrack, I often found myself just sitting there listening to the music rather than actually playing the game. Once you're done being mesmerized by the awesome music, you'll be poking around the 8-bit landscape, looking for the right path to take or the puzzle to solve that will allow you to continue in your adventure. The game is short, but Swords and Sworcercy is a must have for any iPad owner. 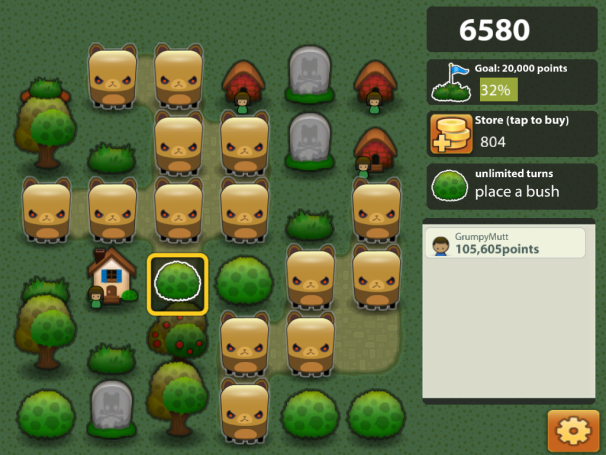 Triple Town is addictive but don't let your town be overrun by bears. Forget Angry Birds and Cut the Rope, Triple Town by Spry Fox is the new hotness when it comes to casual games. The premise couldn't be more simple. You build a town by matching three similar objects. Once matched, those objects merge into a new item and you get points. While the items that are created don't make very much sense (how do three trees become a house? ), the challenge comes from having to deal with the bears (and ninja bears) that get in the way of your matchmaking. Triple Town is the perfect example of a game that is easy to learn but difficult to master. Lady Gaga's voice is deadly in Beat Hazard Ultra. 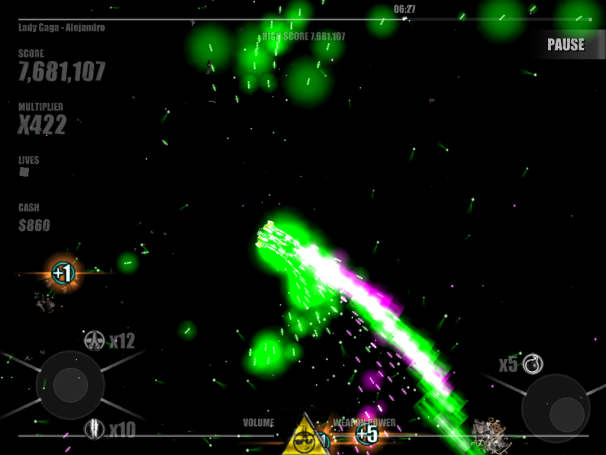 Beat Hazard Ultra is a twin-stick shooter that uses music to dictate the gameplay. The louder and more intense the music, the more powerful your weapons become and the more bad guys you'll have to face on screen. The game comes with several original tracks for you to play around in, but the real fun comes from using your own music. If your iPad is too full of games and doesn't have any music on it, you can also connect to one of several online radio stations that play different genres of music. We only covered a fraction of the games available in the App Store and there are loads more to be discovered. If you have a favorite game that you think everyone should play, feel free to leave it in the comments below.